Much like his time spent volunteering in the community, Rob enjoys educating those around him as well. Rob has always seen the value in educating individuals and providing them with the knowledge they need to make informed financial decisions. With over a decade of experience presenting to groups in the community, and a far, Rob is well-versed in speaking on a variety of financial topics. If you, or a group you are involved with, would like to host a financial literacy event, Rob and his team are happy to help. Contact Rob to learn more and to set up a time to discuss your event. For several years, Rob has been speaking to pediatric residents from both the University of Louisville and the University of Kentucky. In recent years, he has spoken at their annual post-graduate planning retreat. Rob’s goal is to prepare the residents for their immediate life post-residency, as well as the years to soon follow. Finishing a residency program and signing with a practice is a long, and financial straining process. It is our goal to ensure these residents receive the information they need over the course of our talks to make financial decisions with confidence. Having to manage large amounts of student loan debts while trying to establish yourself or a family can be very overwhelming. By providing this education, Rob has proven to be a vital resource for these residents. Rob has spent a great deal of time with incoming freshmen football players, as well as individuals from varying sports. The focus at these educational talks is to inform the student athletes of the costs they will come across after college, once their scholarship money can no longer be used. We cover the fundamentals of budgeting, saving money now, and how to save for retirement. In addition to helping the underclassmen, Rob has volunteered his time and professional expertise by helping senior students prepare for job interviews. 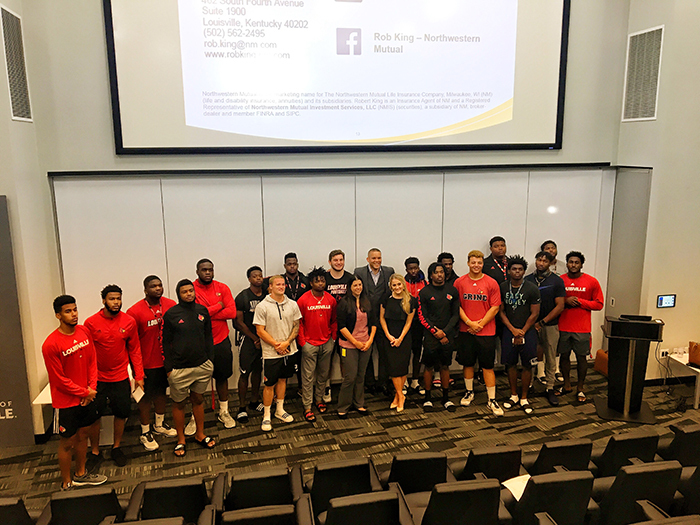 Rob has been a part of hosting mock–interviews with the purpose of preparing student athletes for their upcoming job interviews. Rob has been speaking with the University of Louisville’s SNDA chapter for over three years. 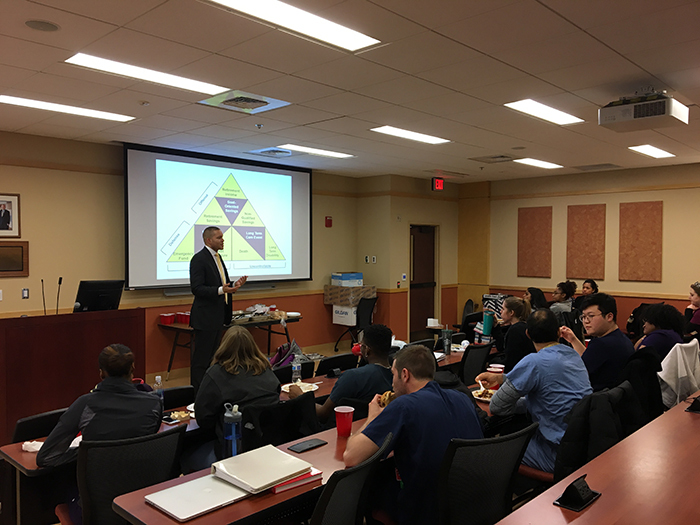 His main goal of meeting with these first and second year dental students is to inform them of the immediate costs they will encounter upon graduation. As well as help them manage and budget for what matters most to them. 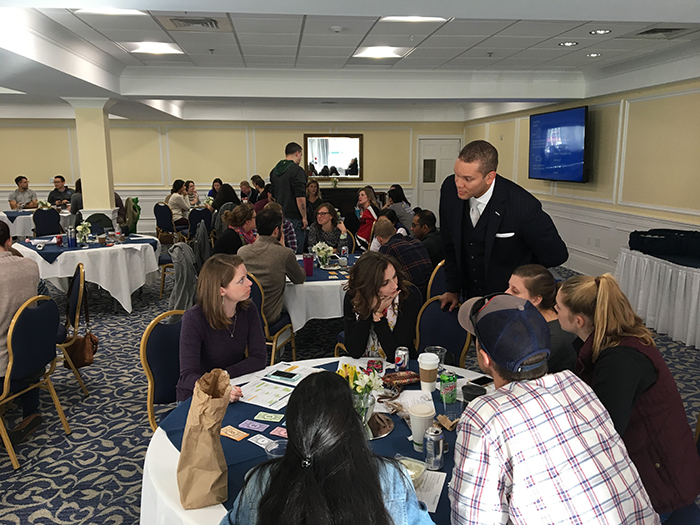 Students have reported that through these talks and ongoing relationship building, they have felt confident in opening their own private practice post-graduation. A dream they once thought was out of reach. OBAP is a nonprofit organization dedicated to the encouragement and advancement of minorities in all aviation aerospace careers. Louisville has a local chapter that focuses on educating middle and high school students on a career in aviation. 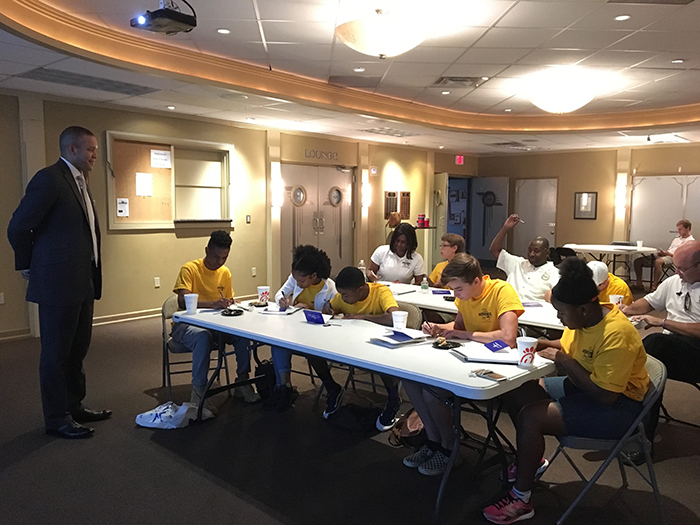 In early 2018, Rob spoke to the group about financial education. Rob presented them with current real–life examples, like how to best spend your allowance. Rob also covered the basics of starting a savings and checking’s account, how to write a check and how to balance a checkbook. He closed out the presentation with college preparation.